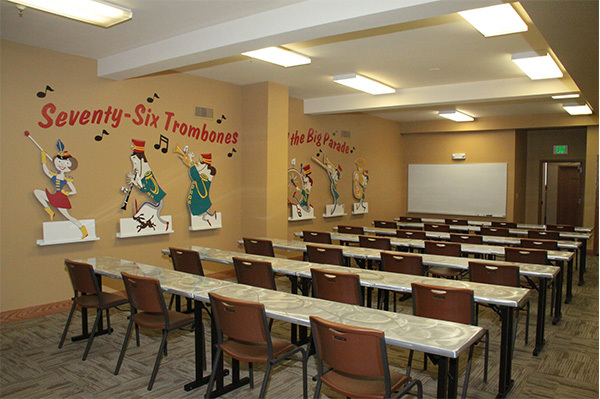 Themed from our signature community event, the Band Festival Room plays tribute to our musical heritage. The light-weight rectangular tables can be arranged in rows, a u-shape or as one large table, making this room very versatile. The room also has a white board to be used for meeting notes.